Always a great place to visit, wonderful town and people, museum progressing nicely looking forward to the completion. John Wayne Birthday celebration was terrific as always, done very well. - Michael P.
A great place to visit if you are a John Wayne fan! The museum is nice and the volunteer tour guides are great. After the tour take time to explore Winterset. The downtown courthouse square is beautiful and the stately old homes in this tidy community are beautiful. - John W.
Such a neat place. Well worth the stop! We ended up in the area while going somewhere else and decided to go see the birth place. Really nice and the staff was fantastic. - Angie B. Will definitely be back there. Great place -- was there in August, loved your little town. Will definitely be back there. John Wayne has always been my hero because for what he stood for and was the best actor. - Harold S.
… they did John Wayne proud. 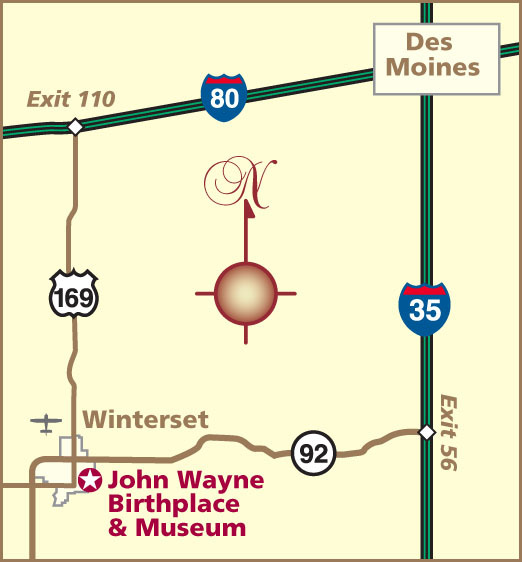 The John Wayne Birthplace & Museum is located in Winterset, Iowa, about 35 miles southwest of Des Moines, which is the closest commercial airport. Winterset lies just off two major Interstate highways, I-80 (east/west) and I-35 (north/south). Click for more directions. © 1997-2019, John Wayne Birthplace Society, Ltd. Website Design by Winterset Websites . 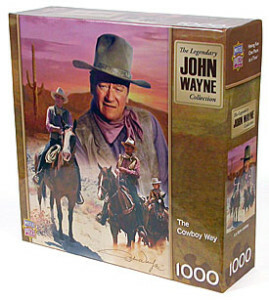 The John Wayne Birthplace is a not-for-profit organization, not affiliated with for-profit entities such as John Wayne Enterprises, LLC and/or the John Wayne estate. The John Wayne Birthplace is not affiliated with the John Wayne Cancer Foundation, and is strictly dedicated to honoring the memory of John Wayne through his Birthplace and Museum.